Do you own a hotel? Would you like travelers from all over the world to have access to your hotel and the services and amenities it offers at a glance? In a fast-growing and developing world where practically every adult owns a smartphone or has access to the internet, the general population now has easier access to finding hotels online. Why not make use of this growing network to market your hotel? 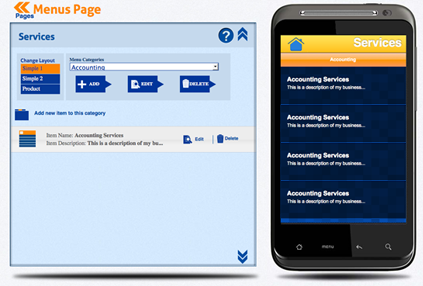 Take a simple business model and plunge into the mobile app economy. Appsbar.com, the largest and growing DIY app builder in the world, offers you hoteliers, a wonderful opportunity to make your own hotel app. Are you new to making apps? Appsbar.com has a user-friendly interface that both professional app developers and extreme novices can use to make their app in no time. By simply signing up or logging in, you are one step closer to building an app of your own that is compatible with Android, iOS, Blackberry, Windows Phone and Facebook. If it’s visibility you want, it’s visibility you’ll get with this easy app maker. Appsbar.com has just introduced its latest feature to hoteliers and to all online entrepreneurs that allows users to generate money with their apps. You now get to build apps where you not only showcase your product or service; you also get to sell online. Together with PayPal, the internet’s most trusted payment system; shoppers now have a secure alternative to making online purchases as well as booking hotel rooms online. Hotel owners and managers can make use of this opportunity to showcase their hotel and give travelers the opportunity to safely book reservations through the app. 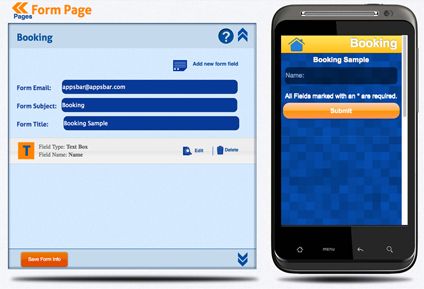 Appsbar.com starts users off with several page types that will help them feature the best of their hotel. Using this free online program, users are given free rein to customize their apps; enabling them to upload their company logos, and personalizing themes that fit their particular business well. The app creator community has nine pre-set pages that users can edit; pages that will let consumers know of the services and amenities the hotel offers and leave a good and lasting impression. 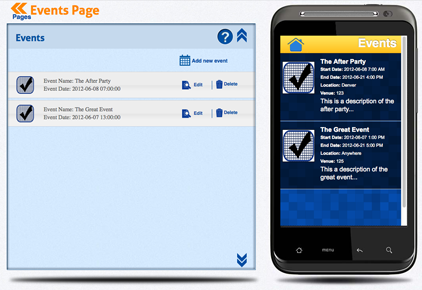 The events page also keeps consumers up to date with the latest and upcoming events hosted by your hotel. This allows the user to tell the customer as to when everything will be. Tell your customers about the pool party that is this Saturday or the weekly BBQ that happens every Friday. The Booking page lets the user make a reservation. 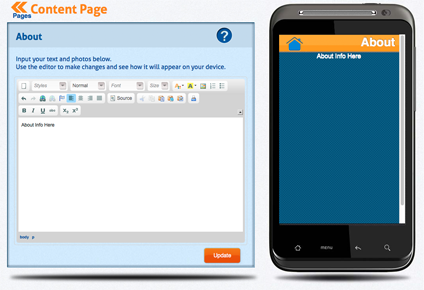 This page utilizes a form that you create to help the user book a room. With this form users can tell you a variety of information that all gets sent to you in an e-mail. 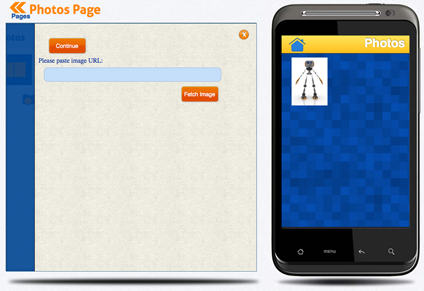 The Photos Page is a page that allows the user to really show off his/her hotel. Within this page users have the options to do multiple things with their Photos. These range from show off your picture in a simple format to describing each picture and writing what makes that picture special. 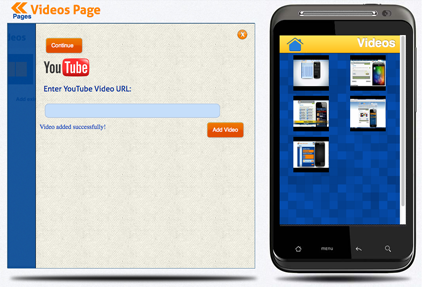 With this page the user can upload a video that describes your hotel. Or a user can have guests make their own testimonials and tell their reasons for loving the hotel. This page can really have a lot of uses that will make your hotel look amazing. The app builder’s services page allows owners to feature their hotel’s services to the readers, including complimentary services that never fails to capture the attention of travelers around the world looking for a great hotel deal. The About page allows the user to write about the hotel in glorious details. This is where you can convince the customer to come stay at the user’s hotel instead of the other ones. This page is an HTML editor that allows the user to have a lot of formatting control over what they write. They can even add photos. 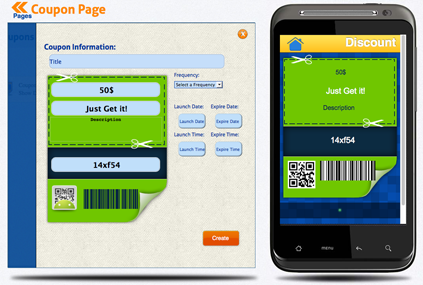 Appsbar has also harnessed the coupon system that can make both business owners and customers happy. Consumers can redeem discount coupons using this page and owners can use the same page to attract more customers to their hotels. More and more travelers right now have access to online coupons on different sites in the web. 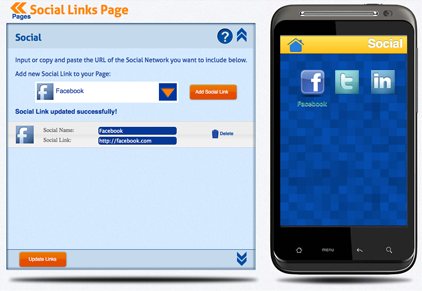 With this page, consumers won’t have to go to any other site; they can find everything they need in just one app. The app also features a social links page where customers and visitors can access your hotel’s social networking accounts, informing them of latest events, promos, and even recent customer reviews. This is a required page that allows the user to input their information. This is so that the customers can easily find and get in contact with the hotel. Once published, your app will be featured on popular mobile app platforms namely Google Play where millions of users log onto daily to check out the latest app they can download for their devices. As more and more consumers are looking for mobile apps to cater to their specific needs, building a hotel app will be one of the smartest business decisions you will ever make, and it’s free! 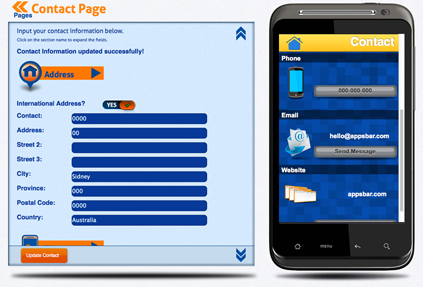 Build your traffic, build your visibility, and build your hotel app with appsbar.com.